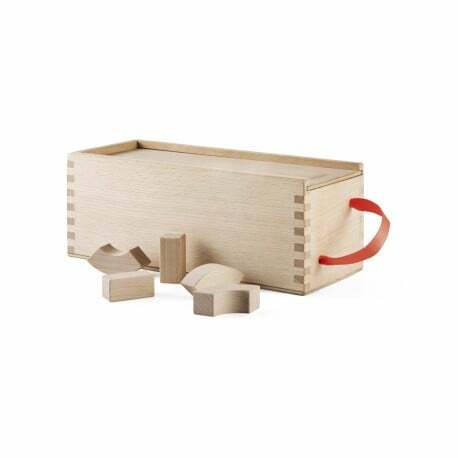 Buy Kay Bojesen Alphabet blocks by Kay Bojesen - The biggest stock in Europe of Design furniture! Kay Bojesen’s blockbusters. Give a toy to learn from. Kay Bojesen was himself a childish soul and a big kid, and he loved generating ideas in children’s imaginations. 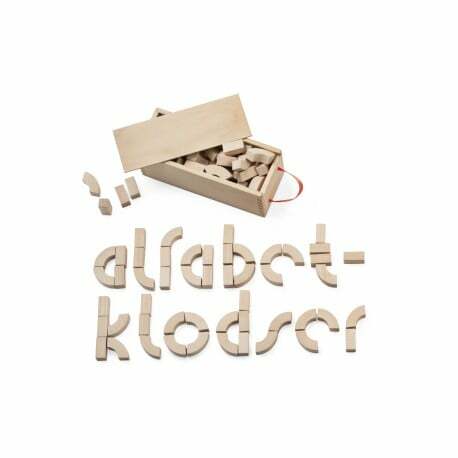 In the 1950s, he originally created his alphabet blocks for Danish schools. Now they are back in production for the benefit of younger children who need to learn the alphabet, for slightly older children who need to learn to spell and for adults who want to play the s-p-e-l-l-i-n-g g-a-m-e. This is a gift that will be passed down the generations. Colour: Beech. Height: 27 cm. Width: 10.5 cm. Depth: 10 cm. Please note: Wipe with a dry cloth.